Home > Blog > Aneurysms > WALK THE WALK AND MAKE A DIFFERENCE! WALK THE WALK AND MAKE A DIFFERENCE! Hundreds of Arizona patrons will join The Joe Niekro Foundation for the 1st Annual Walk in the Park…Brains Matter Walk-A-Thon on September 28th, 2014 at Indian Steele Park in Phoenix, AZ. Come and be part of a one mile walk that will raise funds to support brain aneurysm, AVM & stroke research and patient support services in Arizona. This event allows patients and family members affected by these conditions, the opportunity to spread awareness and educate the community on the risk factors, causes and treatments of these life-threatening disorders. Registration is $30 and begins at 7:30A, with the one mile walk commencing at 8AM. After the walk, stay and enjoy a “Party in the Park” with live music entertainment from Daze Ja’ Vu’, explore the various vendor booths, dance to the music and meet new friends. Indian Steel Park is located at 300 E. Indian School Rd., Phoenix, AZ 85012. 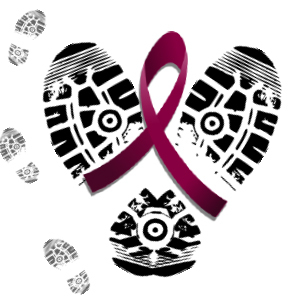 Walk in honor or memory of a loved one, show your support for the cause and burn a few extra calories while doing so! A very special thank you to our sponsors Caldwell & Ober Law, Regency Medical Aesthetics, Arizona Iron Furniture and A Place All My Own Healthcare for helping make the 1st Annual Walk in the Park happen! And to all the walkers and donors, THANK YOU for believing in our cause and supporting our mision! And Never Ever Giving Up Hope!